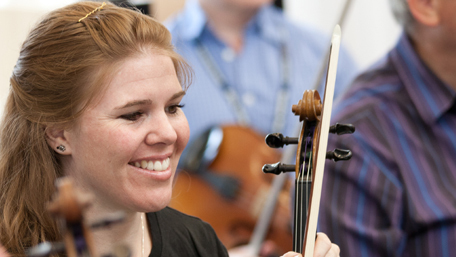 This course is designed as a progression from Elementary Strings, and aims to further the experience and enjoyment of music-making in an ensemble at an intermediate level (approx. Grade 3 - 5). Minimal experience of shifting could be an advantage, and the repertoire, which is available for individual practice in advance of the course, may explore keys containing up to three sharps or flats. Please note that on this course we will be playing all together all of the time, with the possible exception of sectional rehearsals if appropriate.